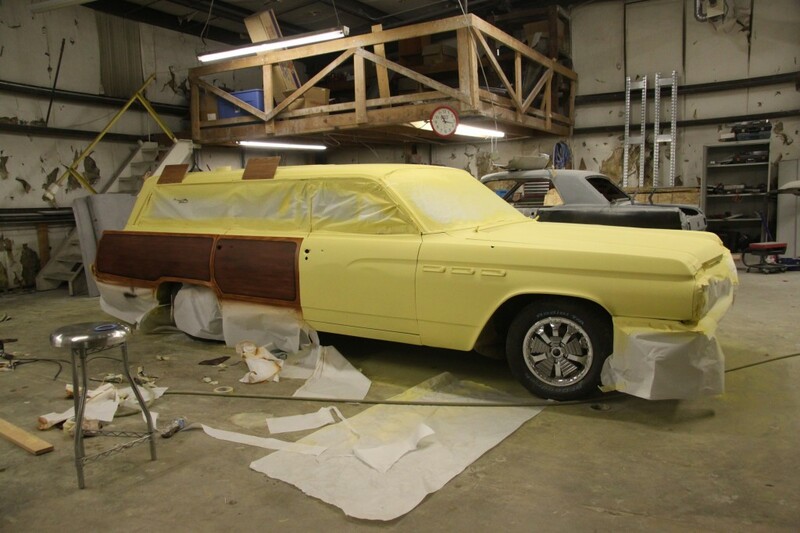 The ’63 Buick LeSabre wagon is not done yet, but it is looking good. Make sure you look for the full story in Autotrader Classics Kustoms & Hot Rods in May. It’s on newstands now. Special thanks goes out to Scotty Mccubbin of GodSpeed Customs in Edmond, OK (405) 760-6140. He is a master of the airbrush. The ulitmate woody- a '63 Buick LeSabre wagon with twin turbos.